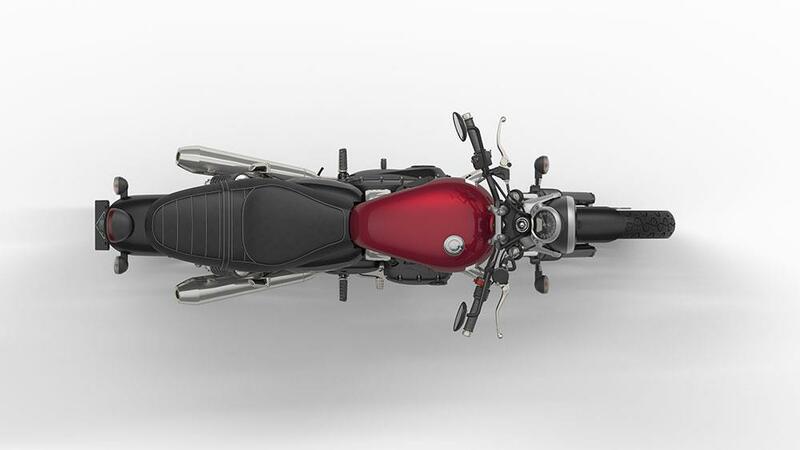 The 900cc ‘high torque’ motor makes a claimed 54bhp@5900rpm. 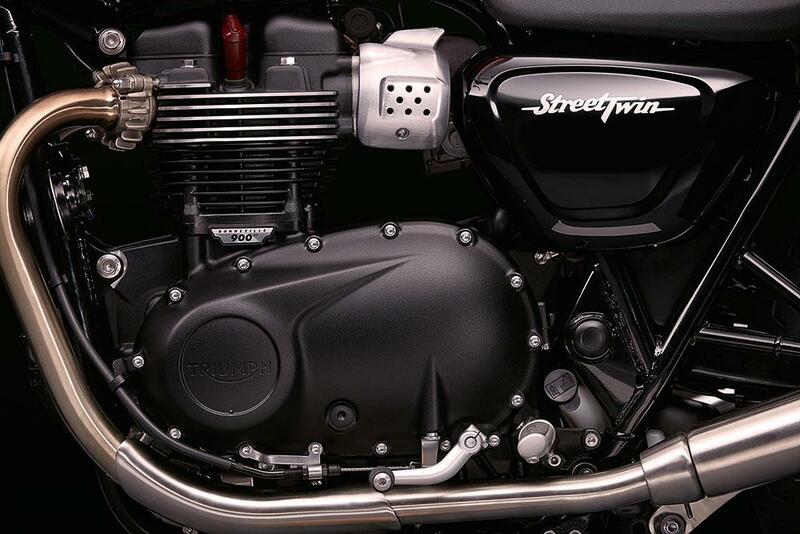 It has 22% more power and 18% more torque than the old air-cooled Bonnie motor. It weighs 198kg dry, does a claimed 75.5mpg and service intervals have been increased from 6000 to 10,000-miles. 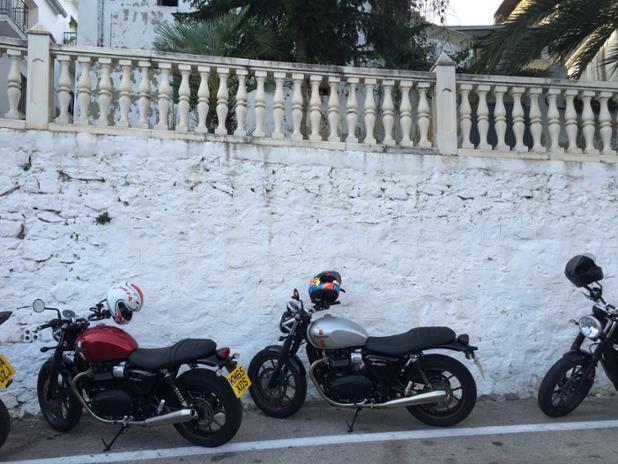 The Street Twin will cost £7300 when it hits dealers next month. 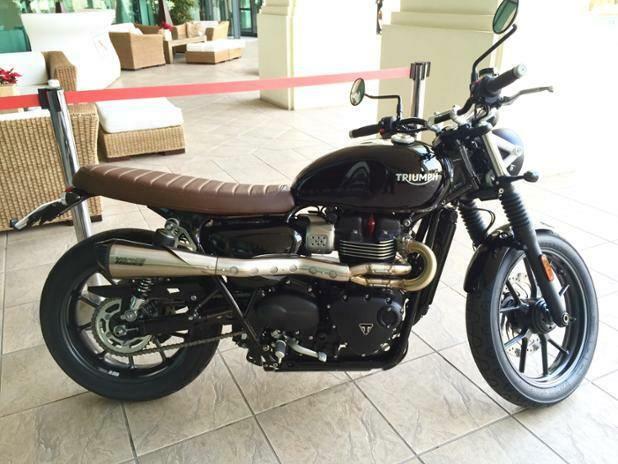 We’re riding Triumph’s new Street Twin today. With its new liquid-cooled, ‘high torque’ 900cc parallel twin engine the Street Twin cleverly mixes retro style with new technology. It has a new chassis, traction control, ABS and elegant styling touches including double-skinned down pipes to hide the cat. 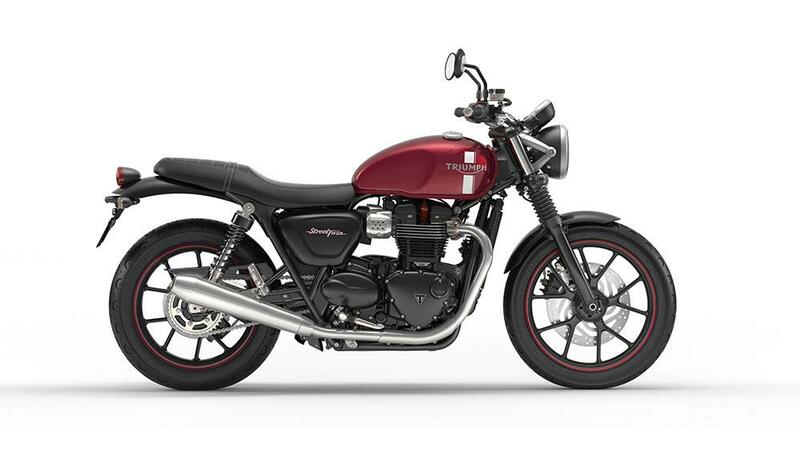 We’ll be testing the new 1200cc Thruxton and T120 Bonneville models when they come out early next year, but in the meantime check back later to see what the fabulous-looking Street Twin is like to ride. 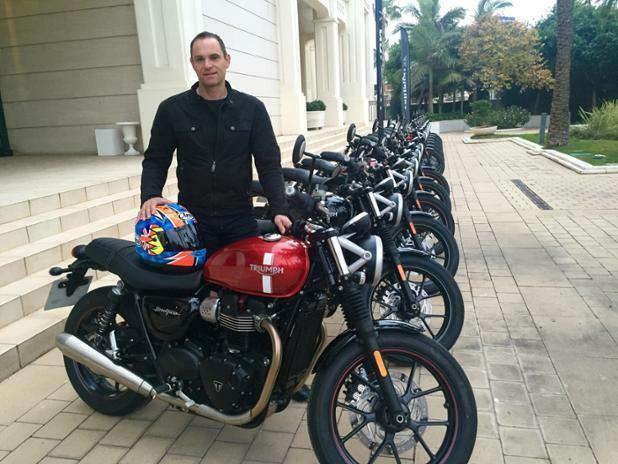 Today, Senior Road Tester Michael Neeves is in Valencia for the launch of the new Triumph Street Twin, which was unveiled at the end of October. 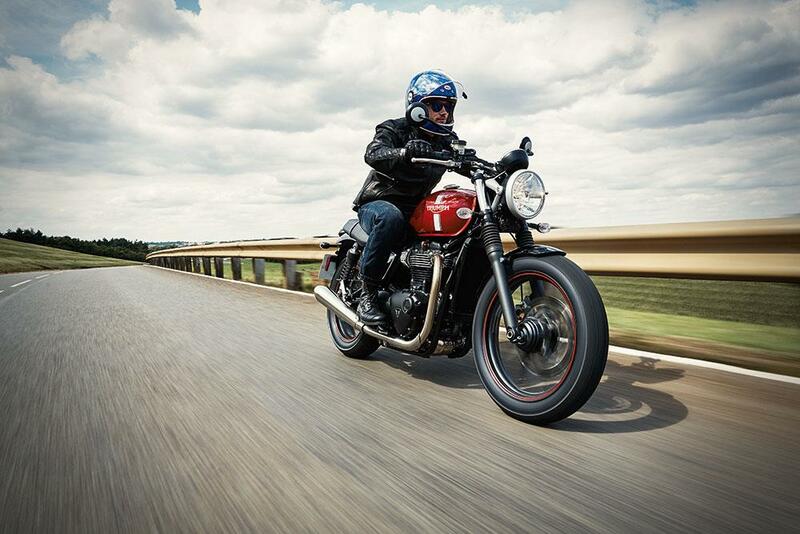 Powered by a new 900cc ‘high torque’ motor, the Street Twin is a completely new bike and has been built around the success of the Hinckley firm’s successful Boneville range, joining a host of other retro themed models in Triumph’s new bike line up for 2016, including the Thruxton, Thruxton R, T120 and T120 Black. 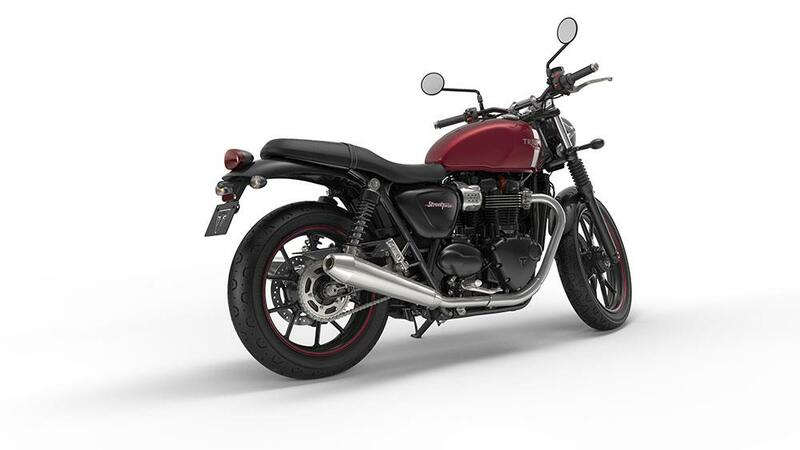 The new Street Twin promises to appeal to the widest range of riders. 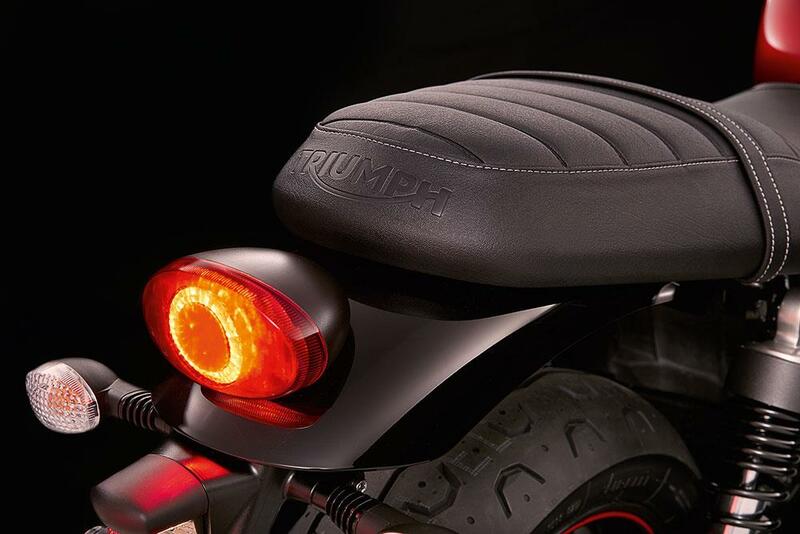 It should have the performance and handling to keep the experienced happy, but with its low seat and smooth torque it will be just the thing for newer riders, too. 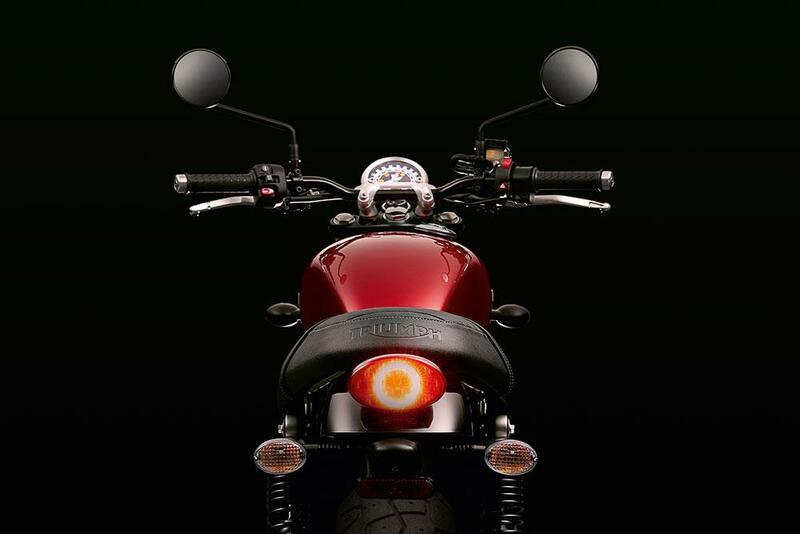 Its pared-down styling will also make it ripe for customising. 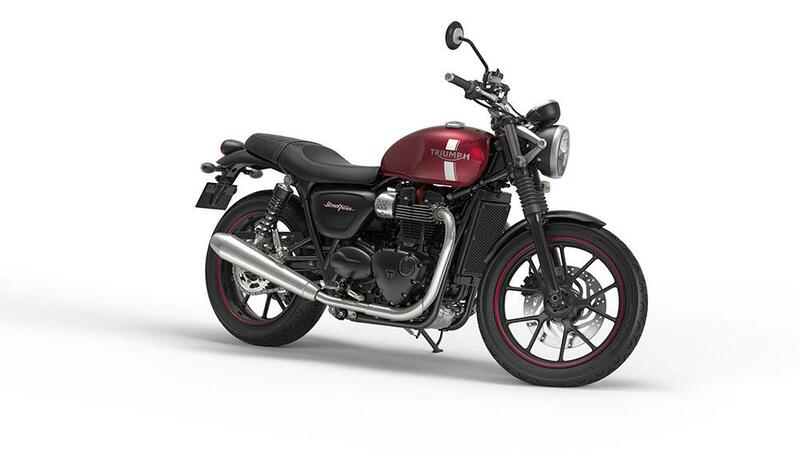 Triumph are offering over 160 official accessories, as well as three option packs called ‘Inspiration Kits’. 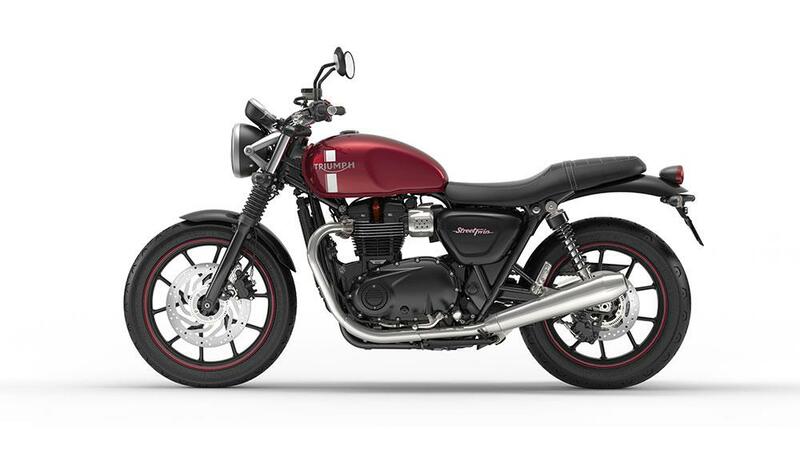 They’ll the high exhaust ‘Scrambler’, minimalist ‘Brat Tracker’ and the ‘Urban’, complete with a waxed cotton or leather pannier. Keep checking this page throughout the day to view the latest on the machine and our first impressions ahead of a full report in next weeks MCN. LCD multi-functional instrument pack with analogue speedometer, gear position indicator, fuel gauge, range to empty indication, service indicator, clock, trip computer, scroll button on handlebars, TPMS ready, heated grips ready, fuel consumption display and traction control status display. * Figures obtained according to the emissions procedure GTR2 of the World Motorcycle Test Cycle (WMTC).